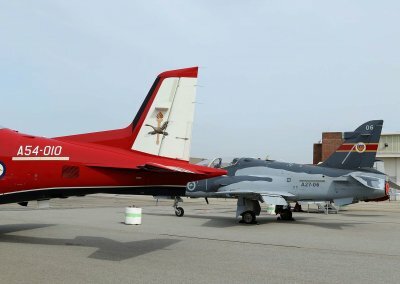 In 1928, Air Marshal Sir John Salmond (RAF) recommended that a Citizen Air Force Squadron equipped with bombing aircraft be established in Western Australia at Perth. 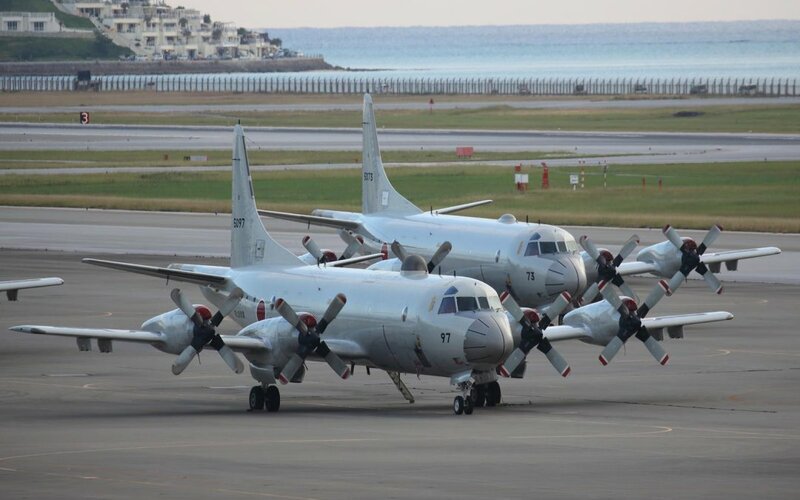 Its function was to assist with the training of Army units and to provide security against sea borne attacks. 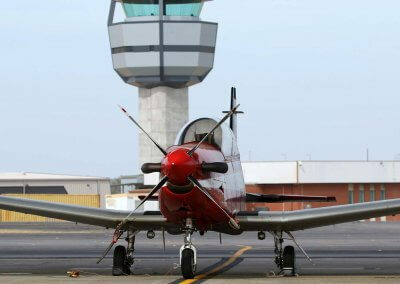 In 1936 construction began at Bullsbrook, 44 kms North East of Perth. 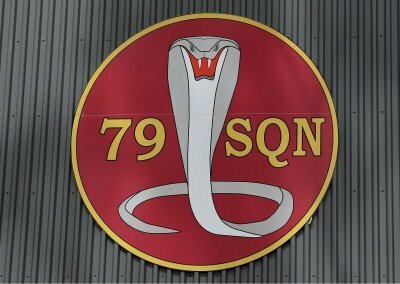 In 1937, 23 (City of Perth) Squadron was formed at Laverton Victoria with an allotment of six Hawker Demon aircraft and personnel consisting of four Officers and 68 other ranks. 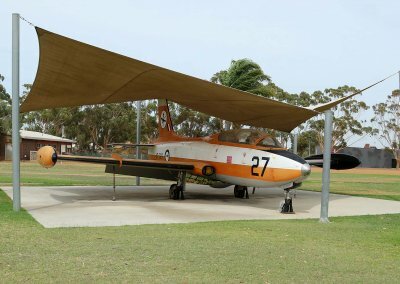 Gradually the base facilities were built up at Pearce and 23 Squadron transferred its aircraft, personnel and equipment to Bullsbrook. 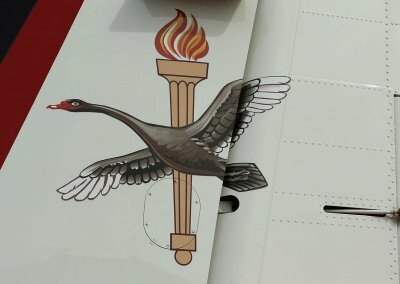 On the 1st January 1939, 23 squadron was renumbered 25 squadron and has been known as Western Australia’s “Own” ever since. 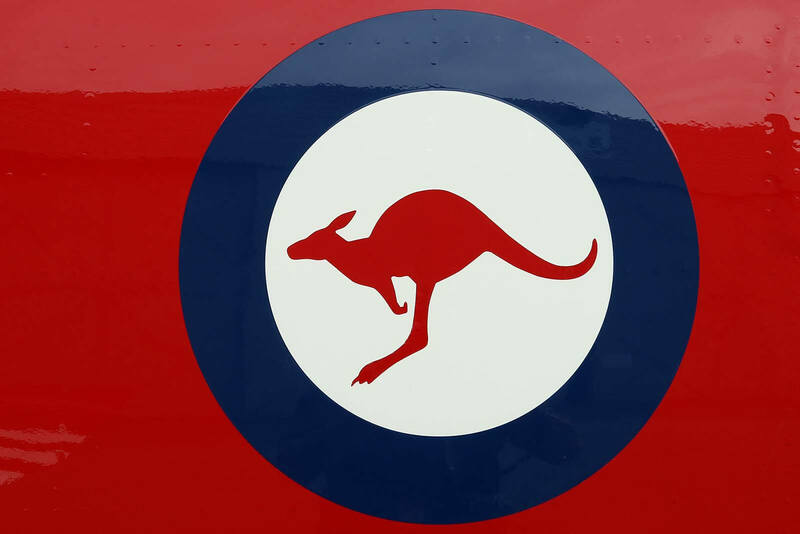 On the 6th February 1939, RAAF Pearce was officially granted station status and began to supply with a mix of Avro Ansons, Hawker Demons and Avro Cadet trainers. 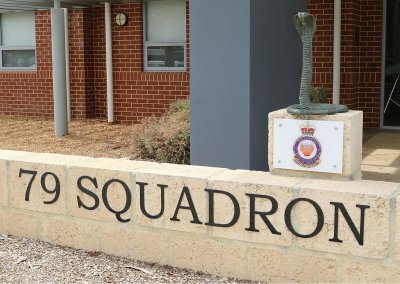 The station is named after a former West Australian Senator, Sir George Foster Pearce PC KC VO who served as Defence Minister four times from 1910 to 1913. 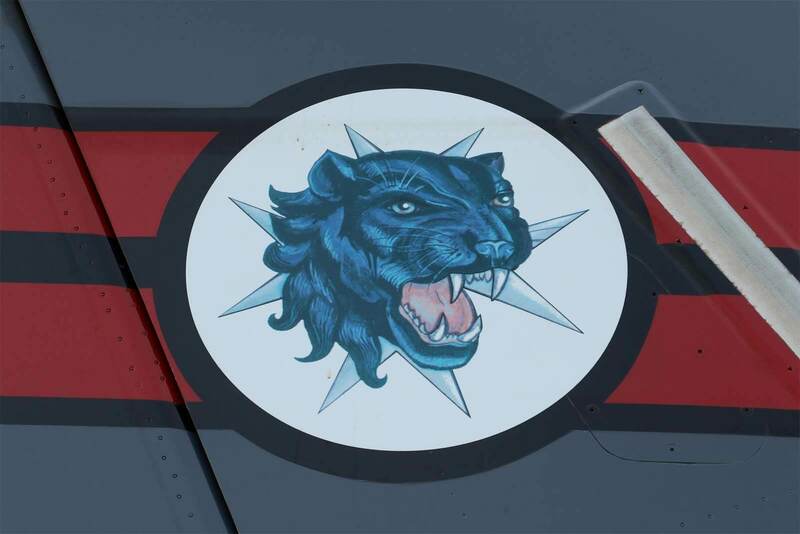 By mid 1939 both 25 squadron and 14 squadron had been formed, each squadron performing the major task of maritime patrols together with a minor training role. 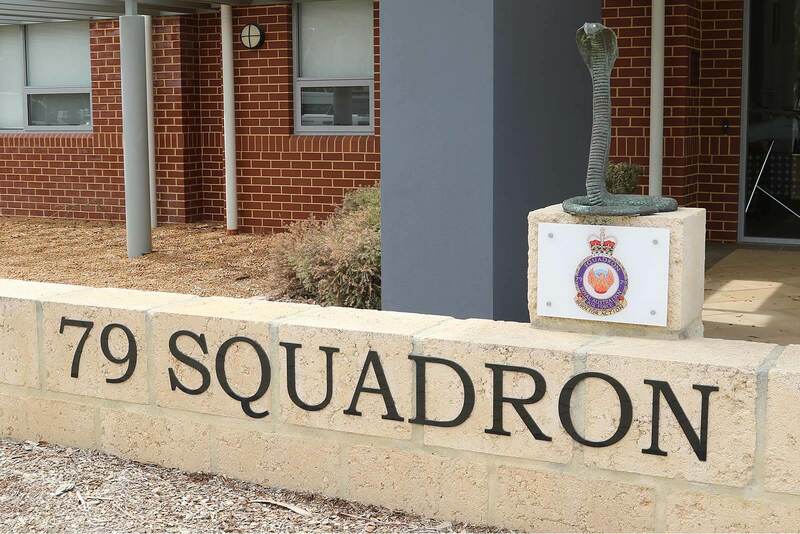 Expansion saw the establishment of ground staff recruit training with 4 Recruit Depot in March 1940 and then aircrew with 5 Initial School in October 1940. 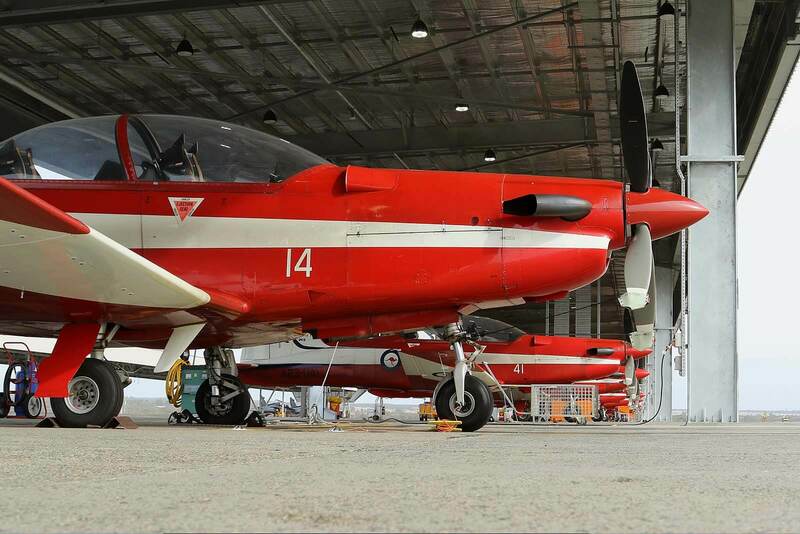 Pilots then progressed onto 9 Elementary Flying School at Cunderdin followed by 4 Service Training at Geraldton. Units moved in and out of the base during March 1942 with 35 Squadron forming with mixed civilian aircraft before moving to Maylands, Perth’s civil aerodrome and 5 Initial Training School moving to Clontarf boys orphanage in Bentley. 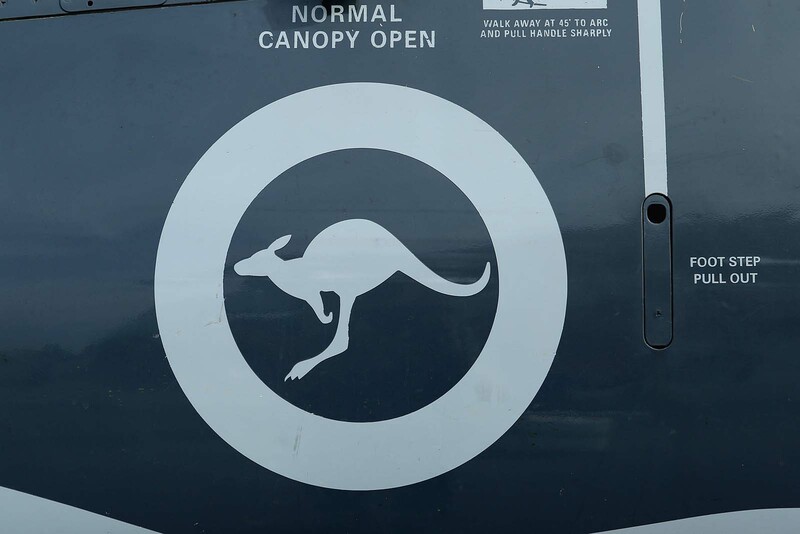 This allowed room for 77 Squadron to form with P-40 Kittyhawk fighters although the squadron moved to what is now Perth Airport at Guilford. 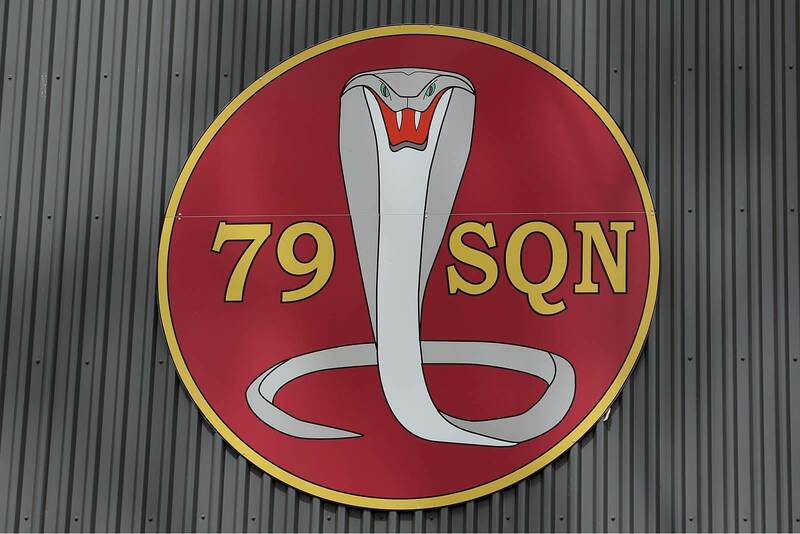 More changes saw the establishment of 4 Aircraft Depot and 17 Repair and Salvage Unit in May 1942. 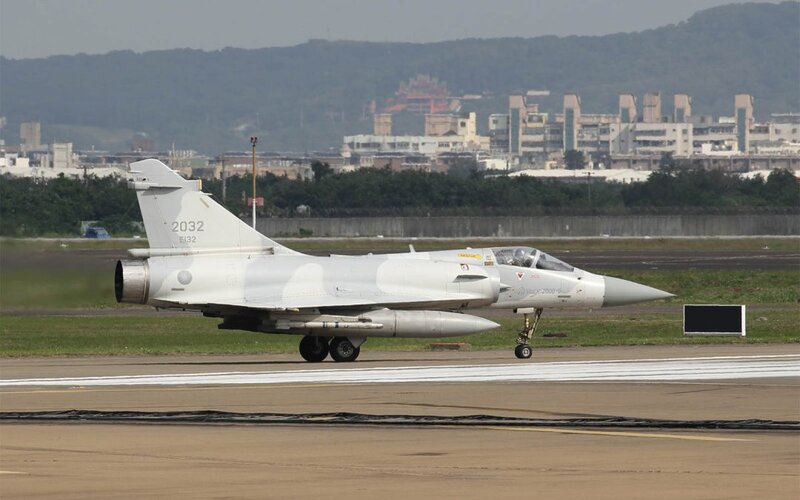 By 1944 a major change occurred when sealed runways were laid. 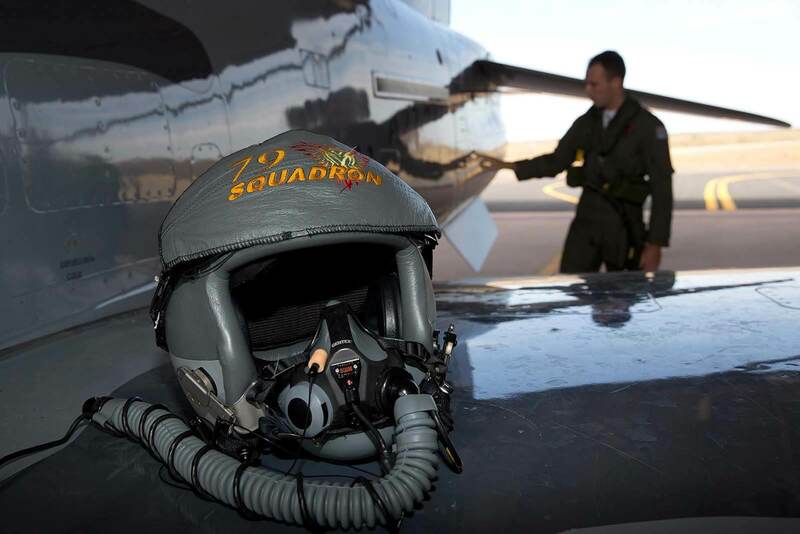 At the war’s end the rapid rundown of the Air Force took place. RAAF Pearce settled back to a training role with 25 Squadron reverting to Citizen Air Force status, training pilots and ground crew using Tiger Moths, Wirraways and P-51 Mustangs. 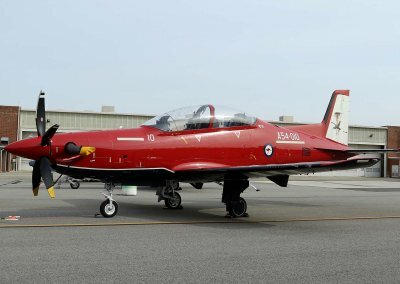 With the advent of the jet age, the current runway could not be lengthened so a new runway running North/South (18/36) was built and the existing runway 05/23 is now used as a cross runway although it is now 500ft shorter than its wartime length. 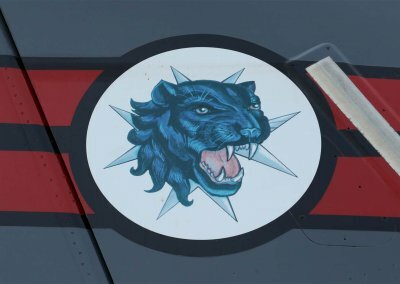 25 Squadron by this time had re-equipped with Vampire trainers. 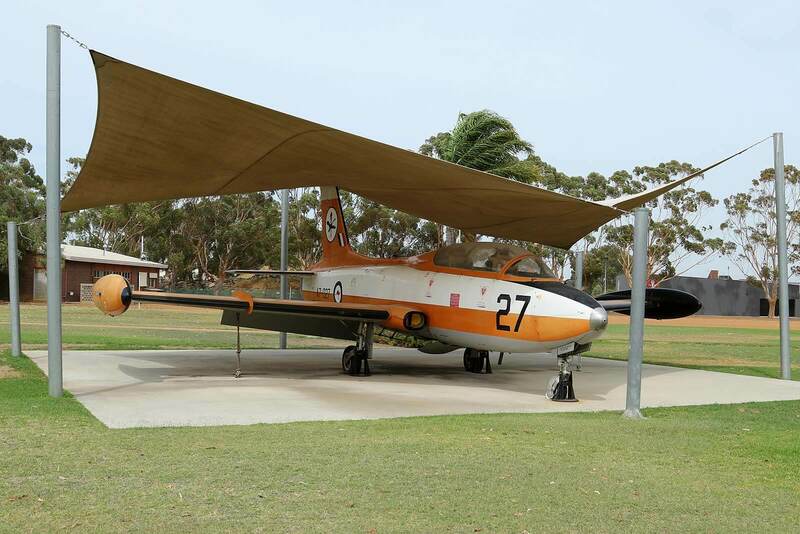 In 1958 RAAF Pearce was chosen to be the home of 1 Applied Flying Training School with Vampire aircraft which had transferred from Point Cook, Victoria. 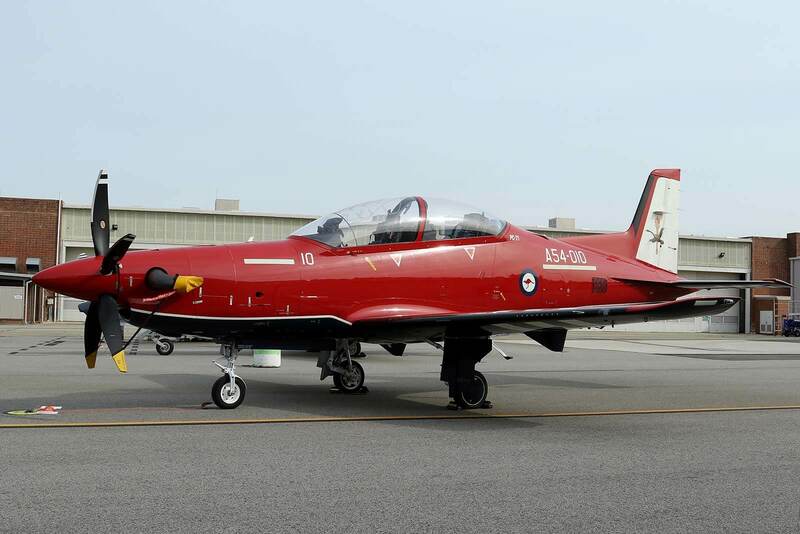 In 1960 25 Squadron ceased operations as a flying training unit and took up a role as a ground support unit for permanent Air Force squadrons. 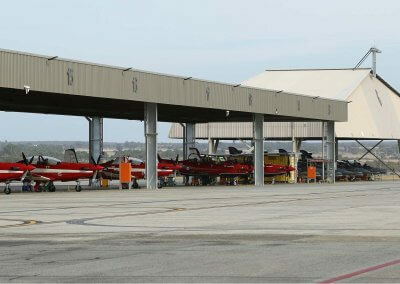 In 1969 1 Applied Flying Training School was renamed 2 Flying Training School. 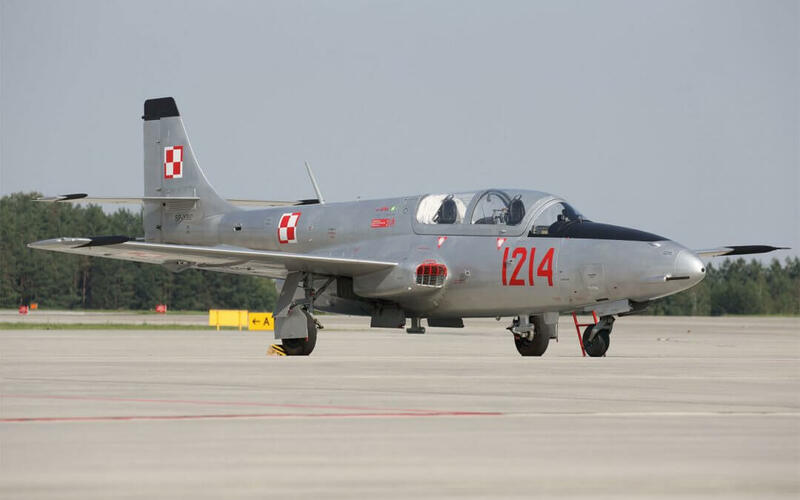 From 1968 Macchi MB-326 aircraft took over the training role from the Vampires until 1989 when the MB-326s were in turn superceded by the Pilatus PC-9 which is currently the 2 FTS training aircraft. 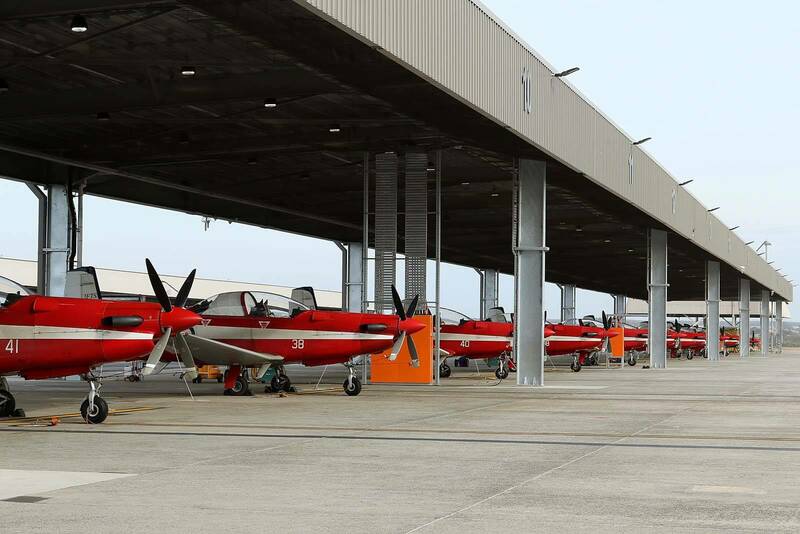 In 1993 the Republic of Singapore Air Force established a flying training school using Siai-Marchetti S211 aircraft. 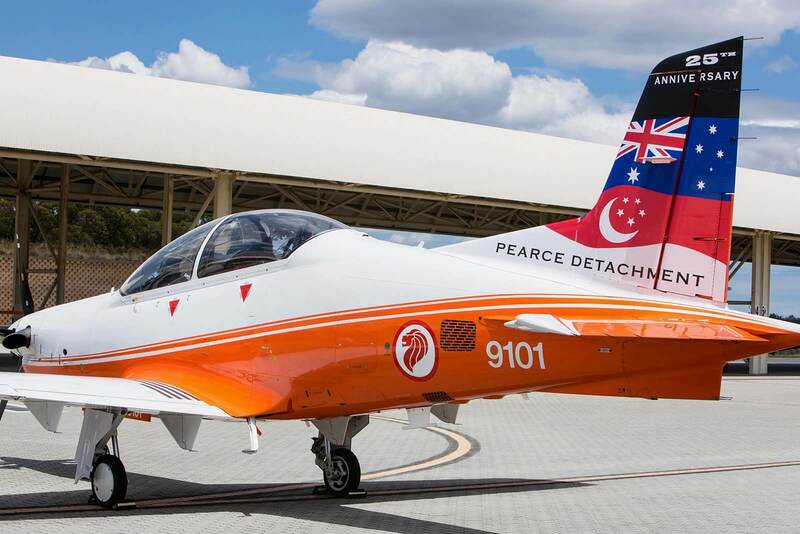 Today No 130 squadron “Pearce Detachment” Republic of Singapore Air Force fly the new Pilatus PC-21 tandom seat trainer. 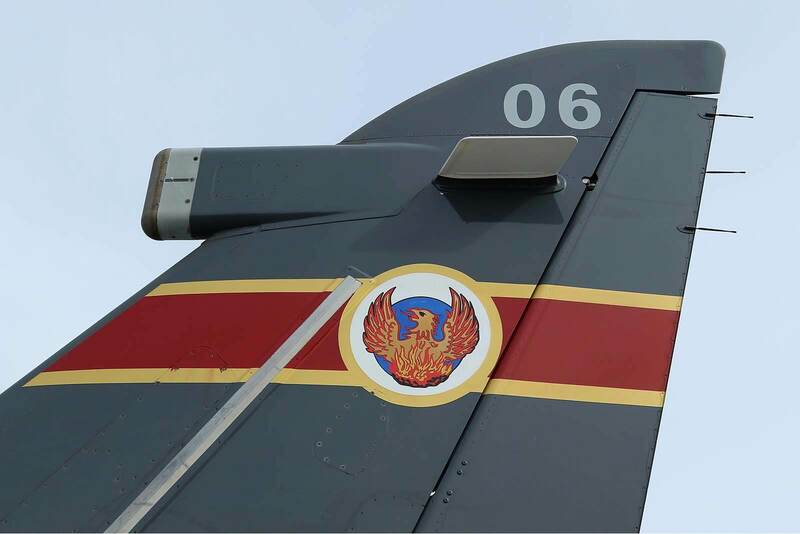 As of March 2019 the base had over 500 personnel working on a daily basis consisting of military, civilian and contractors. No 2 FTS conducts advanced flying training for the Royal Australian Air Force (RAAF) and RAN pilots. 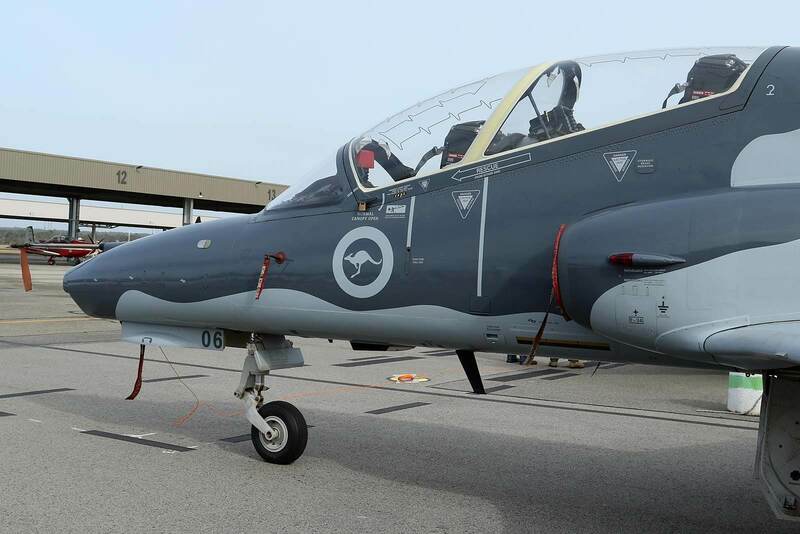 After completing approximately 60 hours of Basic Flying Training on the CT-4 aircraft at Basic Flying Training School (BFTS) in Tamworth, NSW, the trainees conduct a conversion onto the PC-9 and advanced flying training at 2 FTS Pearce. 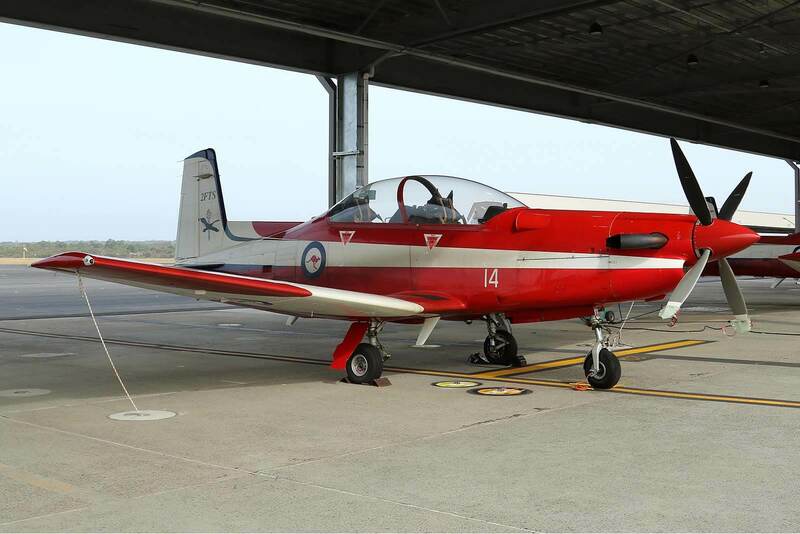 The course is 39 weeks long and includes 5 weeks of ground school, general flying (stalling/spinning/basic aerobatics/circuits), instrument flying, formation, navigation and combination (all of the above) sorties. 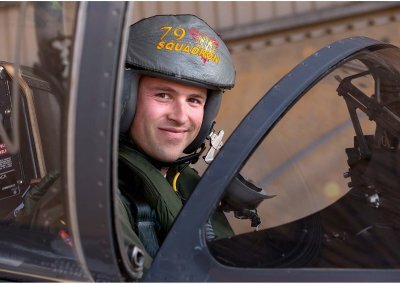 The graduate pilot will leave 2 FTS with at least 130 hours on the PC-9 aircraft and are considered to be competent to undertake an operational conversion course onto one of the RAAF/RAN operational types. 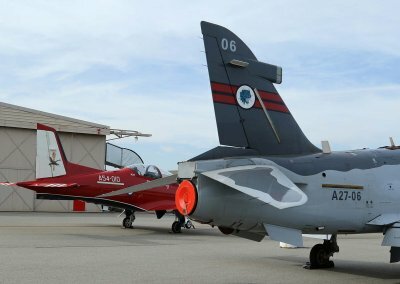 Annually 2 FTS will run a total of 4 courses and graduate RAAF and RAN pilots, class size per individual course will vary as does the number of pilots that graduate. 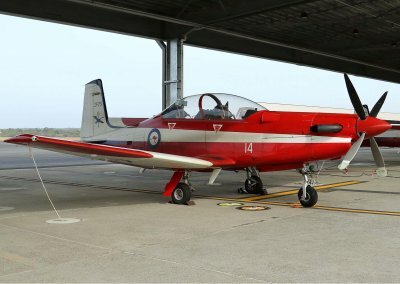 The graduate program on 2 FTS normally only trains Australian pilots but for a short period during 2014 to 2015 supported the Royal New Zealand Air Force (RNZAF) in its transition to the T-6 Texan II training aircraft, by training a total of 8 pilots. 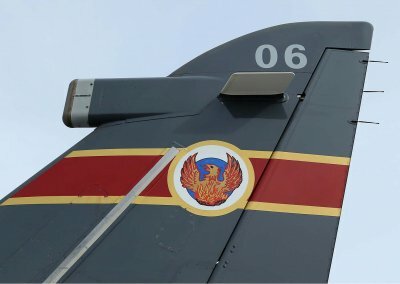 From 2018 into 2019 2 FTS currently has no International trainees on its courses. 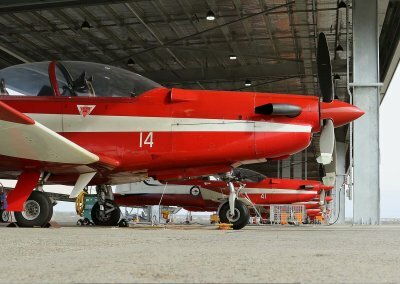 For the next 10 months 2 FTS will see big changes in its flight operations at Pearce, with the end in sight for the PC-9 for the RAAF, all remaining PC-9’s will be transferred from RAAF East Sale, Victoria to Pearce during the coming months. 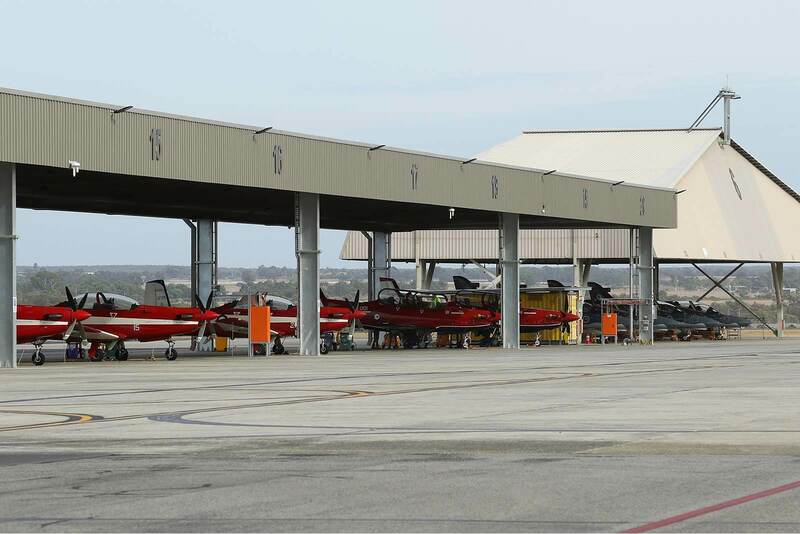 The final course on the PC-9 commenced in February 2019 and will be graduating in December 2019. 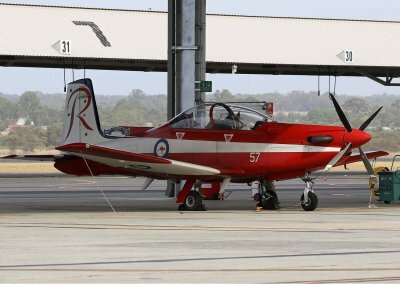 After almost 30 years of service with the RAAF and 2 FTS, PC-9 flight training will end in 2019. 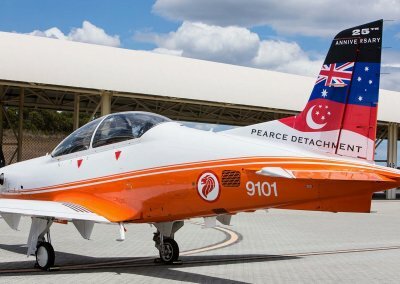 The replacement for the PC-9 is the PC-21, with 30 aircraft being delivered to the RAAF up to March 2019. 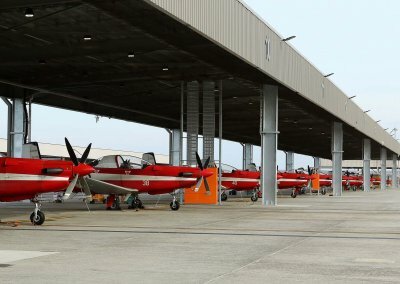 Almost all of the PC-21s have gone to 1 FTS at East Sale so far, but towards the end of 2018 the PC-21 started to arrive at Pearce. 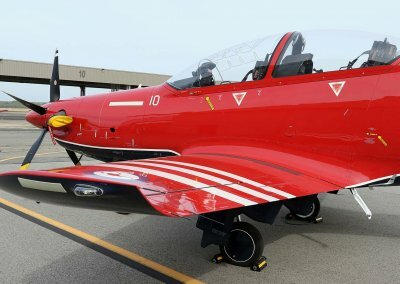 Flight simulators for the PC-21 have already arrived and 2 FTS has currently 4 online in their new Head Quarters building, more will follow later in the year. 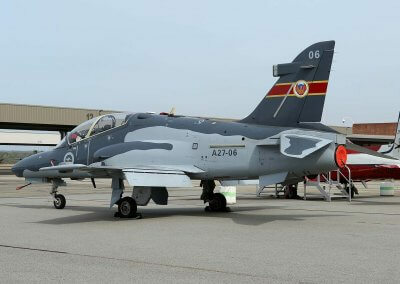 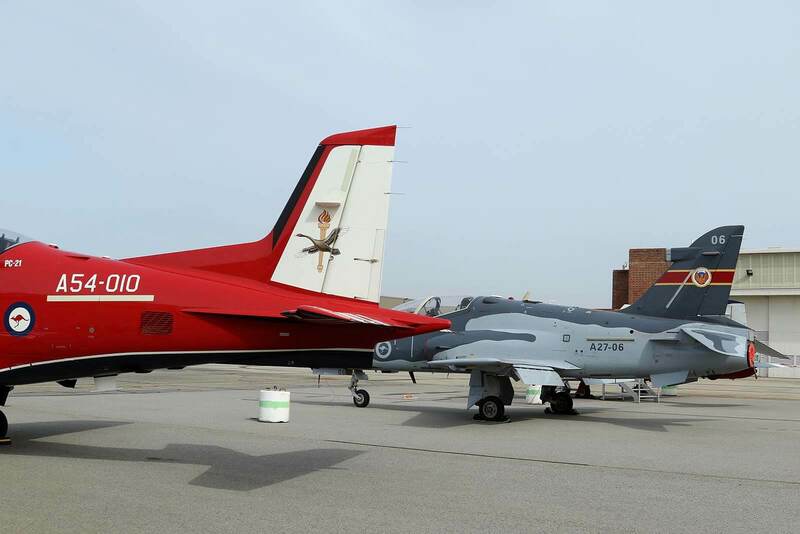 Flown by 79 Sqn the BAE Hawk 127 tandem seat jet trainer/fighter is used for initial training to prepare aircrew for operational conversion to the F/A-18A/B Hornet, F/A-18F Super Hornet and more recently the EA-18G Growler aircraft. 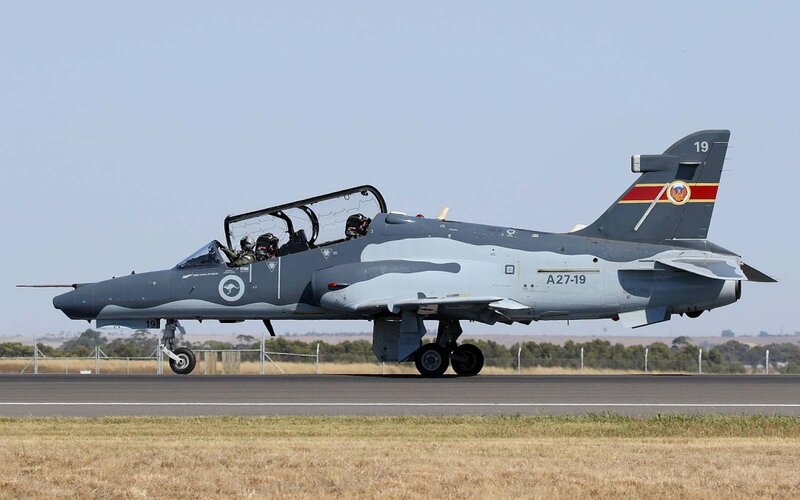 The RAAF has a fleet of 33 Hawk 127s based at RAAF Pearce and RAAF Williamtown, NSW. 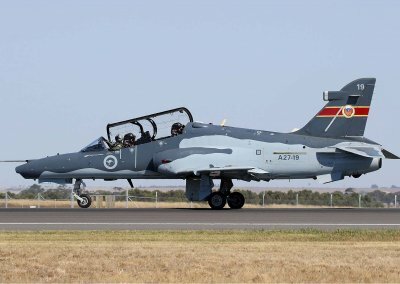 The Hawk entered service with the RAAF in 2001. 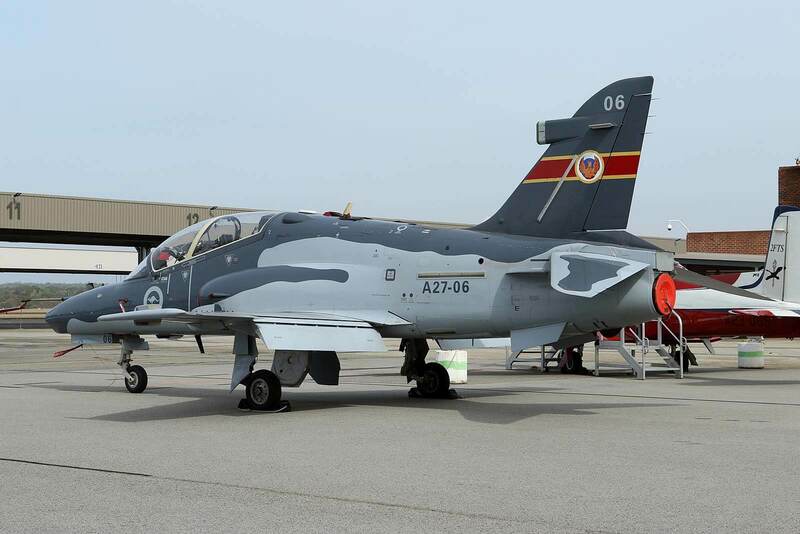 No 79 squadron’s role at Pearce is to conduct phase 1 of the 2 phase Introductory Fighter Course (IFC) curriculum. 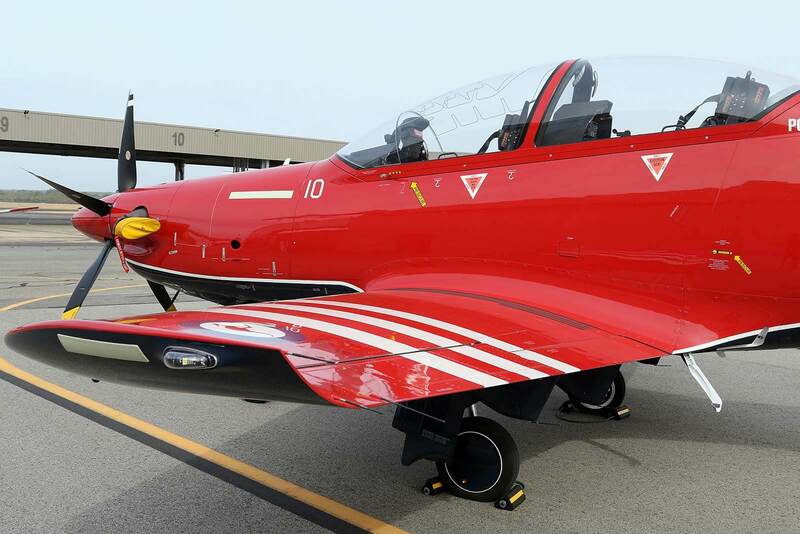 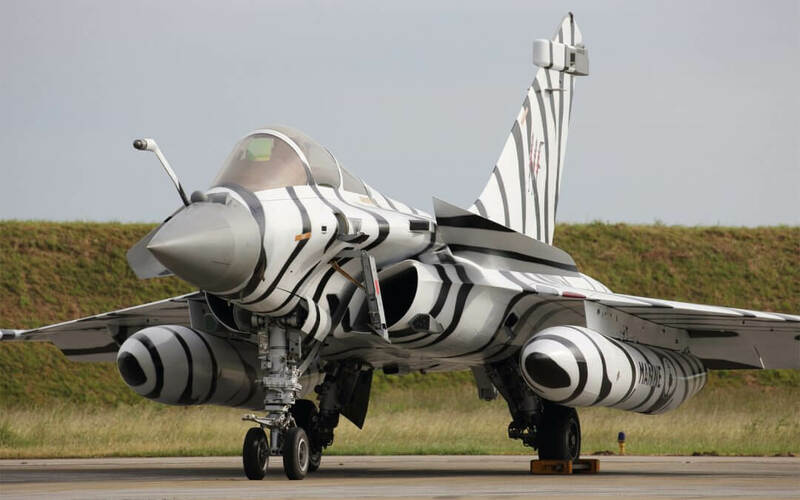 The scope of training includes general flying skills (such as maximum performance handling and aerobatic manoeuvres), instrument flying, close and tactical formation flying, night flying and navigation training. 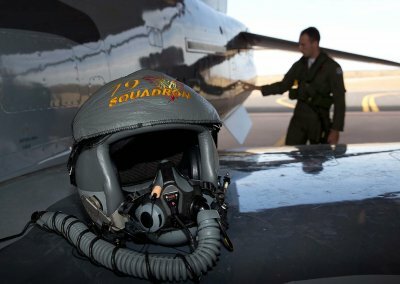 The course usually takes 13 weeks and heavily utilises synthetic training in the form of a flight simulator. 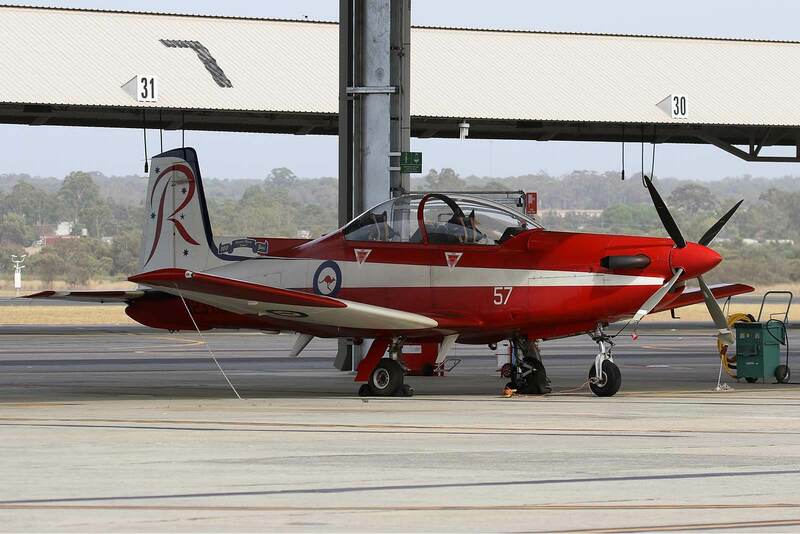 On successful completion of phase 1 the trainees are posted to RAAF Williamtown, NSW to complete phase 2 of IFC. 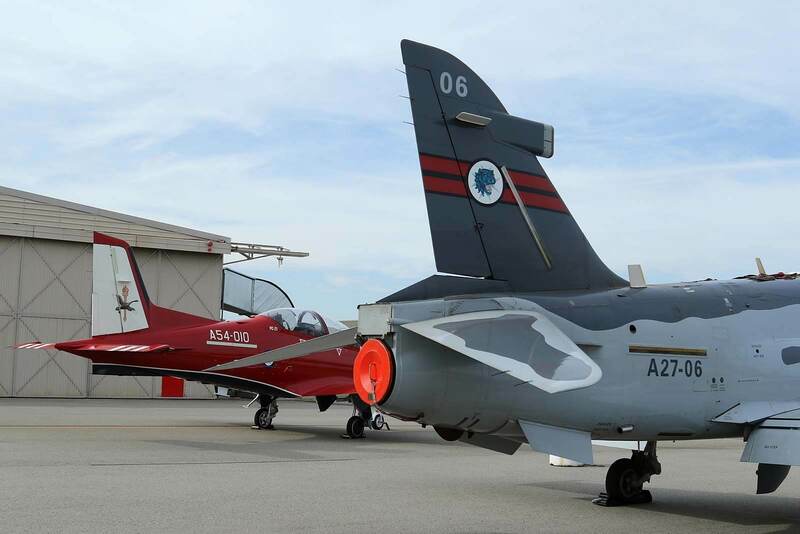 The training they receive at Williamtown includes tactical flying skills such as air to air fighting and air to ground weapons delivery. As with 2 FTS, 79 Sqn runs 4 courses per year graduating pilots on completion of IFC-1 and IFC-2. 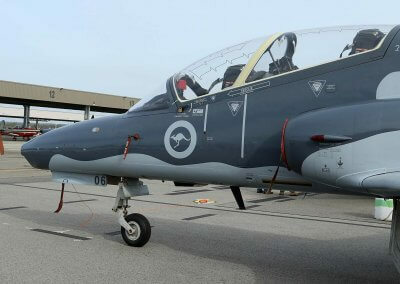 Aviation Press and the Aviation Reporting team would like to thank WGCDR Andrew Brandham, Commanding Officer of 25 Sqn and Defence Force Base Pearce for facilitating the visit, SQNLDR Aaron De Passey of 79 Sqn, SSQNLDR Andrew Robinson of 2 FTS (B Flt) and finally to Mrs Peta Magorian in the Command Post Public Affairs for organising, hosting and providing much of the requested information for this article.